Remembering Cheb I Sabbah, DJ Who Built A New Musical World The influential producer, musician and DJ hooked into traditions from India to North Africa to make music that was perfect for the digital millennium. He died last Thursday at age 66. Composer, musician and DJ Cheb I Sabbah, who died Thursday at age 66. 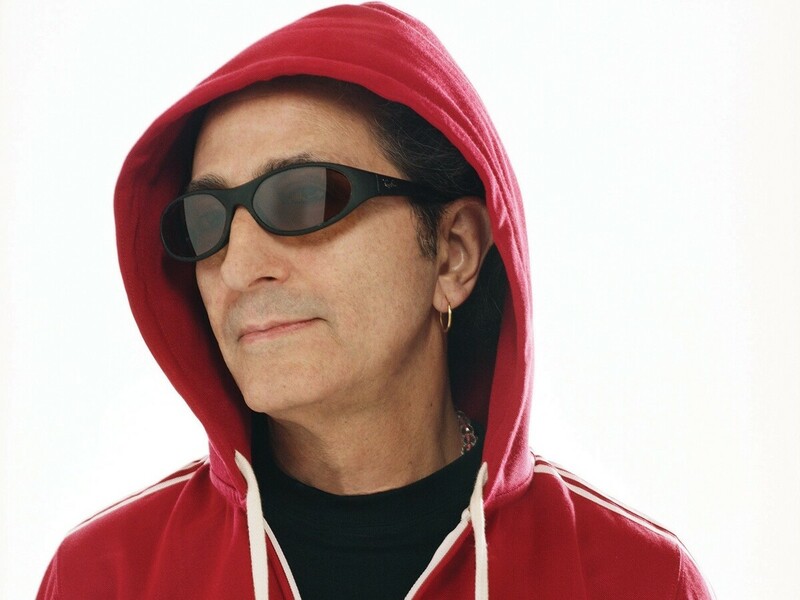 Global DJ, composer and musician Cheb I Sabbah died last Thursday at the age of 66 after a two-year battle with Stage IV stomach cancer. Gifted with a radiant personality and a joyous spirit, he managed to merge beatmaking with tradition easily and openheartedly. If there was a disconnect in an Algerian Jew plugging into Hindu and Sufi Muslim spirituality, or in layering ragas with heavy beats, Cheb I Sabbah didn't see it. He used music to build the kind of world that he wanted to live in — and in so doing became godfather and mentor to generations of artists and listeners who found common ground on the dance floor. Born Haim Serge El Baz in Constantine, Algeria on Aug. 7, 1947, the artist dubbed "Chebiji" by friends and colleagues came from a Jewish and Amazigh (Berber) family. When still a teenager, he moved to Paris, and dropped out of school when he was about 15. He soon became a well-known DJ in Paris clubs, where he became known for spinning American soul music. By the mid-1970s, he had relocated again, this time to New York. He became a friend of and collaborator with avant-jazz turned world fusion trumpeter and composer Don Cherry. And it was at this point that Cheb I Sabbah began his own explorations of Indian and African music with Cherry. In 1984, he migrated once again — this time to the Bay Area, which remained home base for the rest of his life. Within a few years of moving to California, he took on the name "Cheb I Sabbah" — a name that, in classic Chebi way, mixed old and new. Cheb is a North African title that raï musicians frequently append in front of their names, meaning "young" (and with the connotation of being opinionated and outspoken); sabbah means "morning." Soon, his friends hooked the Hindu honorific ji at the end, and he became known among them simply as "Chebiji." As a DJ, Cheb I Sabbah appreciated the audience immensely. As he told PBS' "Frontline" in 2003, "Thre's a give and take between you and the audience. It's half and half. That's something that Nusrat Fateh Ali Khan taught me: If you have only good musicians and no good listeners, we are useless." As a good musician, he was a great listener — and he found inspired ways to channel myriad influences from all over the globe. After he released his first album, The Majoon Traveler, in 1994 (a project that featured remixes of music by Cherry and Ornette Coleman), he produced a flurry of albums for the Six Degrees label that pinwheeled out from an axis of Hindu inspiration, including 1999's Shri Durga, 2002's Krishna Lila and 2008's Devotion. When Cheb I Sabbah was first diagnosed with Stage IV stomach cancer in 2011, he was told he had about a month to live. Utilizing a combination of Western and Eastern treatments, he lived (and worked) about two years past that diagnosis — but like so many American artists, he lacked health insurance. Last May, a group of his friends and collaborators, including Bill Laswell, Zakir Hussain and Kailash Kher, released an album entitled Samaya to help defray his sizable medical expenses. Everyone who ever came into personal contact with Cheb I Sabbah knew of his open-heartedness and warmth. Over my desk, I keep a note Chebiji sent out to friends and colleagues when Samaya was released: "When it comes to music that we can hear, feel and touch, we witness a miracle that never ceases to astonish ... As my friend and mentor Don Cherry used to say, 'Thank you for being Hear & Now.'" Cheb I Sabbah's survivors include his partner of many years, Suzanne Thomas, his children Elijah Thomas-El Beze and Eva Thomas El Beze, and three grandchildren.